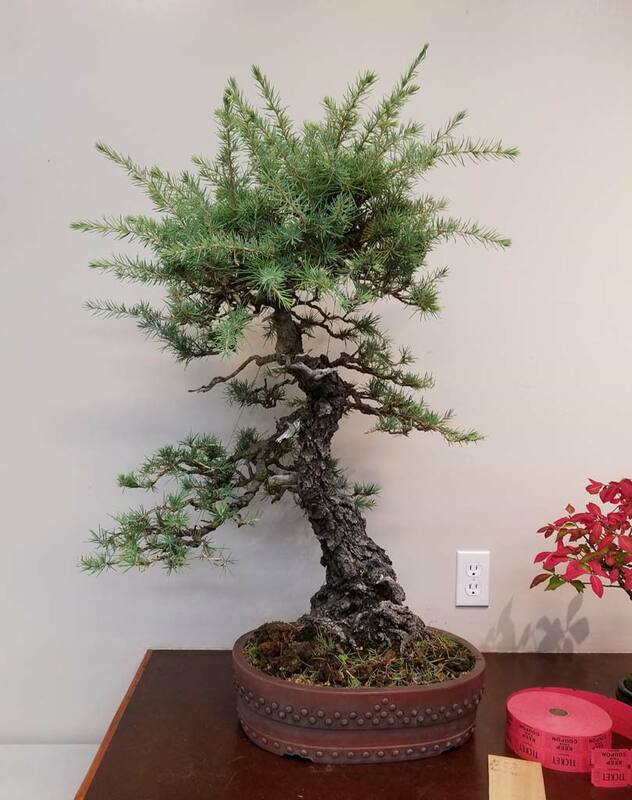 Jay McDonald finished trimming the Deodar Cedar he brought to the demo a few weeks ago. 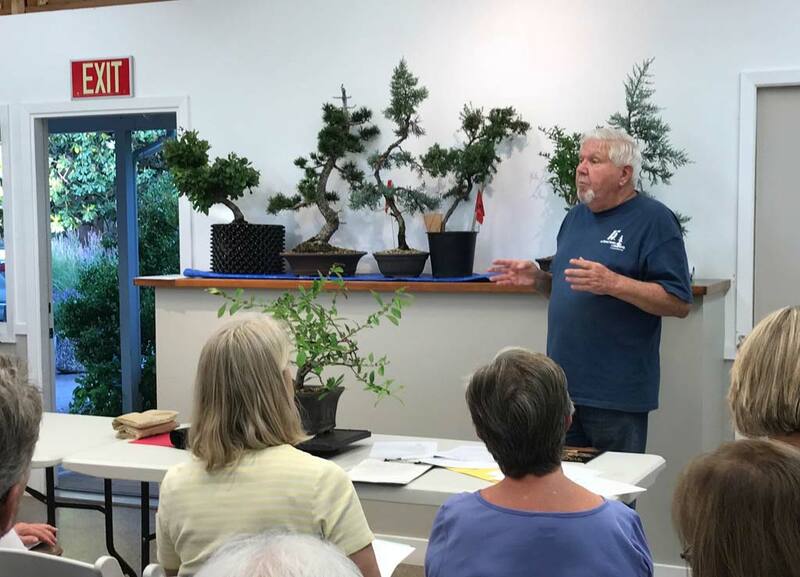 Marin Bonsai Club’s very own VP of Shows, Jay McDonald was our very entertaining demonstrator this month. Jay cooked up a scrumptious rock planting. 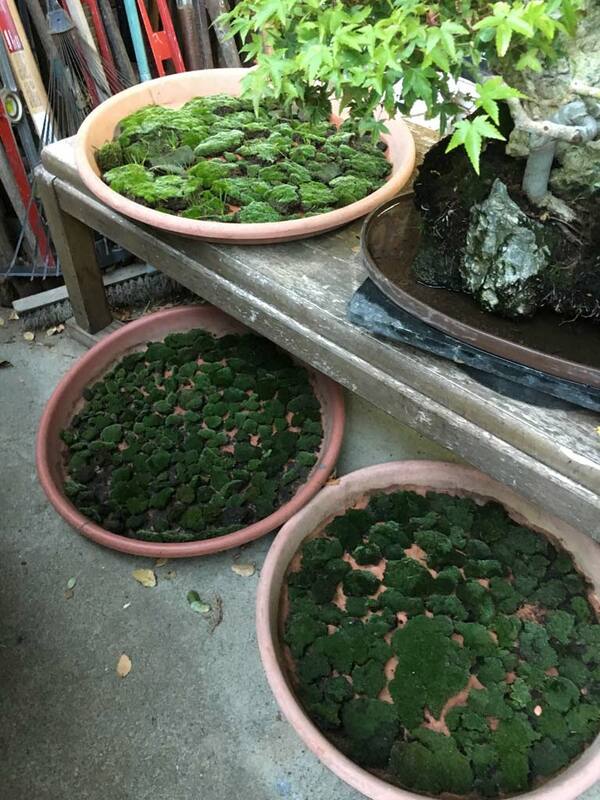 The main ingredients: a beautiful lace rock foundation, one Hollywood Juniper and Jay’s special ‘Silverback’ moss. Note the perfect corresponding ‘wing’ on the rock! 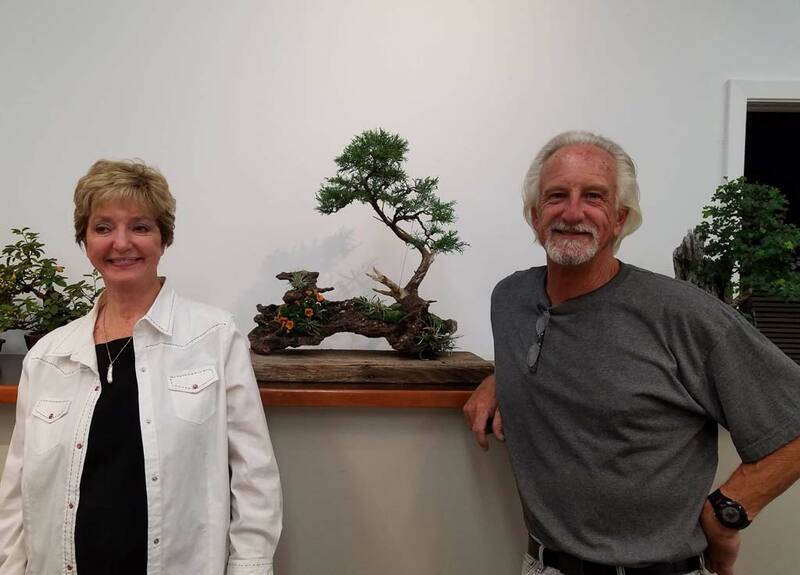 The bonsai winner and the winner artist. Good job, Jay! 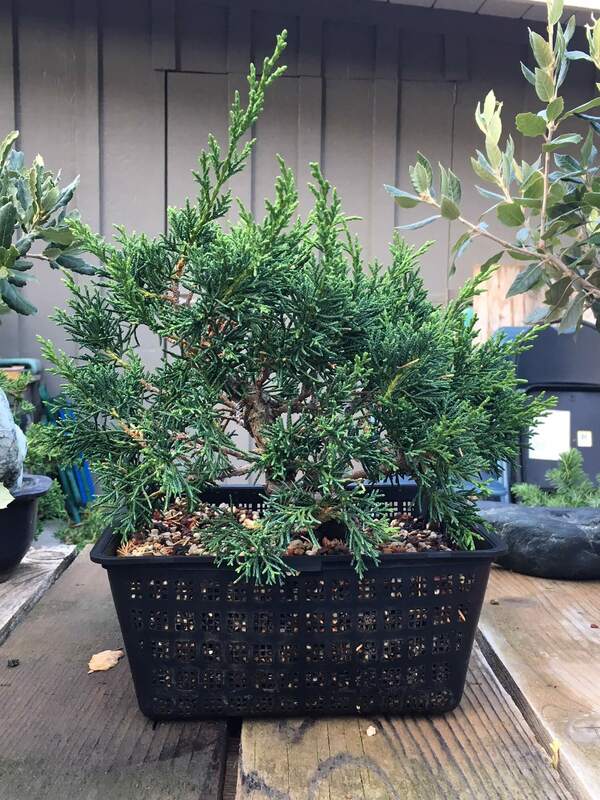 Deodar Cedar – Working from the bottom up. 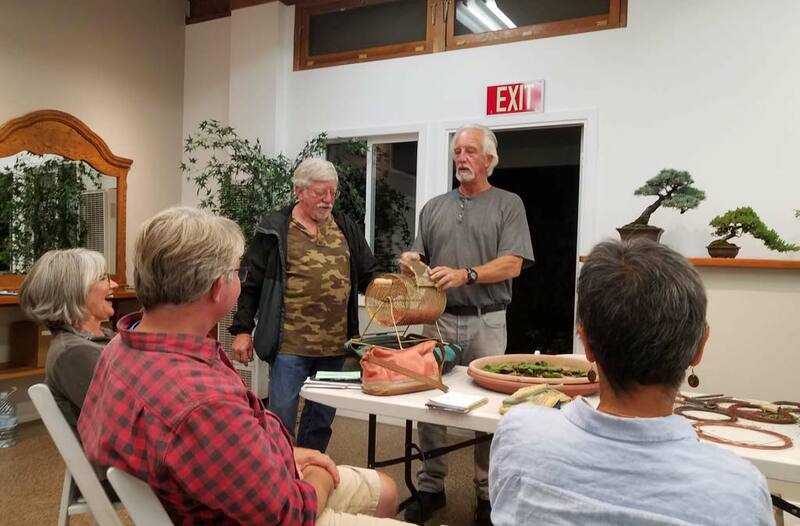 Peter Tea returned to the Marin Bonsai Club for our August meeting with his ongoing program on developing junipers for bonsai. 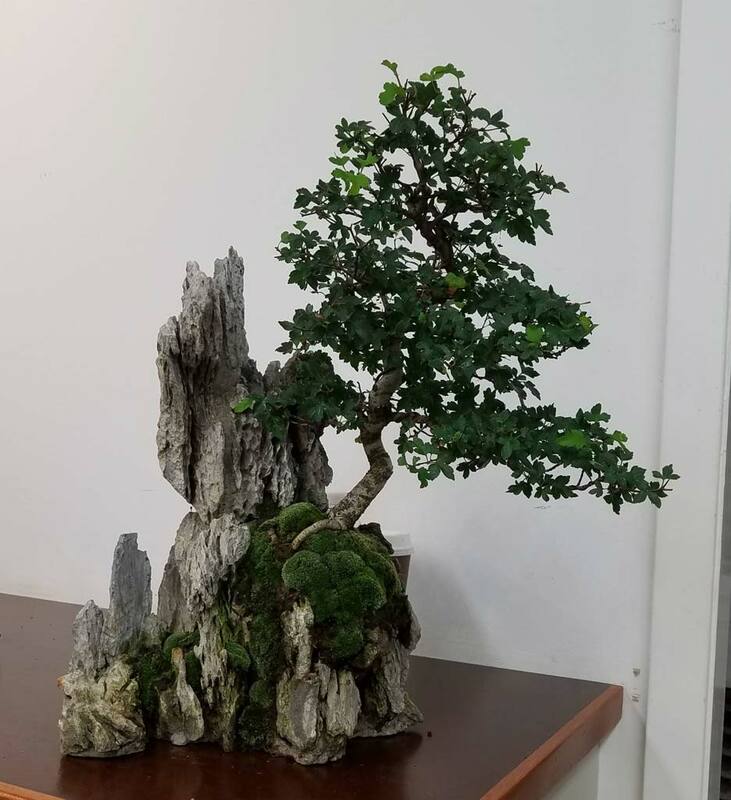 He brought several trees to illustrate his talk, some he had worked on previously with the club, so we could see the progress the trees have made. 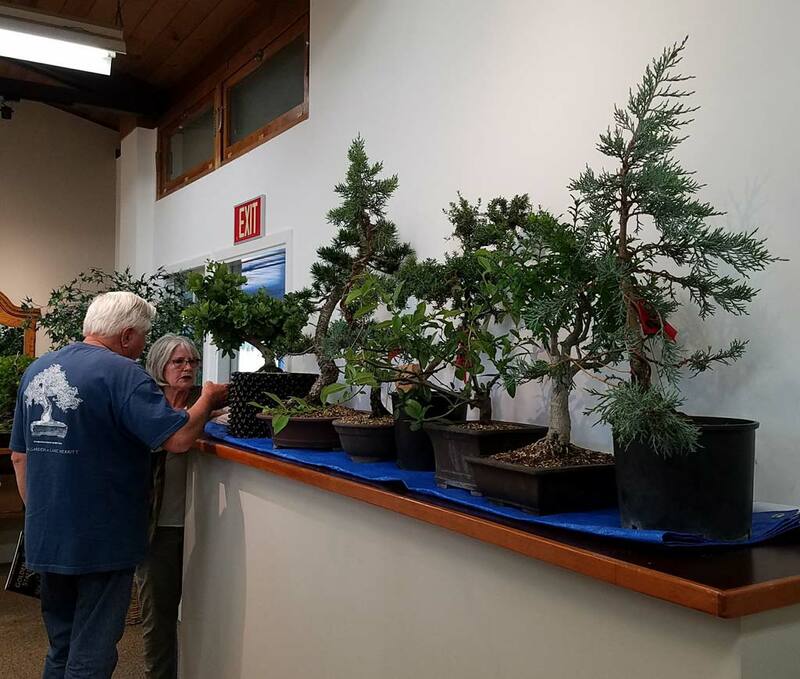 Peter started out with a review of the trees, pointing out the differences between the Itoyagawa variety which has lighter, finer foliage and is a little more difficult to work on, and Kishu, which is identified by darker and more dense foliage. Examining the trees that had been worked on previously with the club we saw that the trees exhibited strong growth and buds developing at the base of branches enabling Peter to make some judicious cuts. He cautioned us not to over prune the trees. Generally junipers are worked on twice a year, in June and December. The months of June and July will generally show the strongest growth, and if the tree responds well to pruning at this time and grows back strongly, it can then be pruned again at the end of the year. The top might even need to be cut more frequently, but there will also be areas that we won’t want to cut at all. 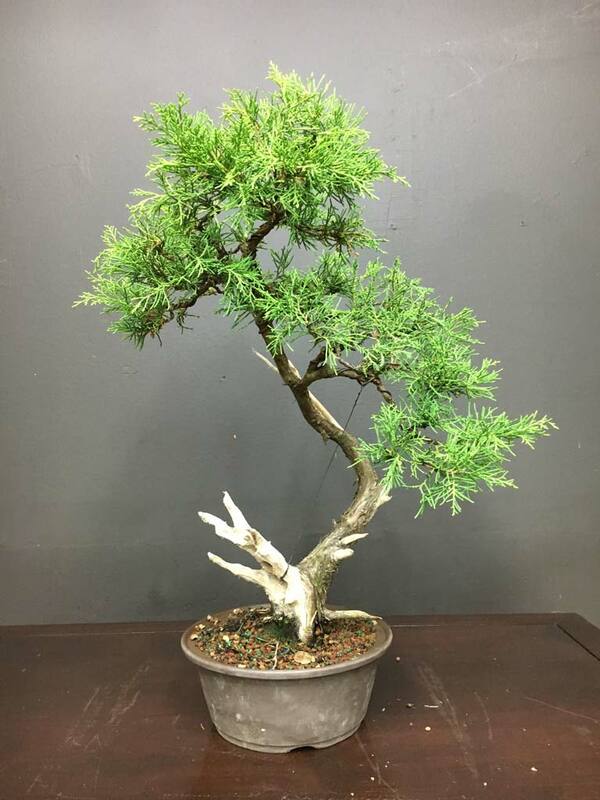 The temptation to cut ugly or overly exuberant growth is strong, but these branches serve a purpose for a period of time in that they may generate new growth in an area that currently has none. 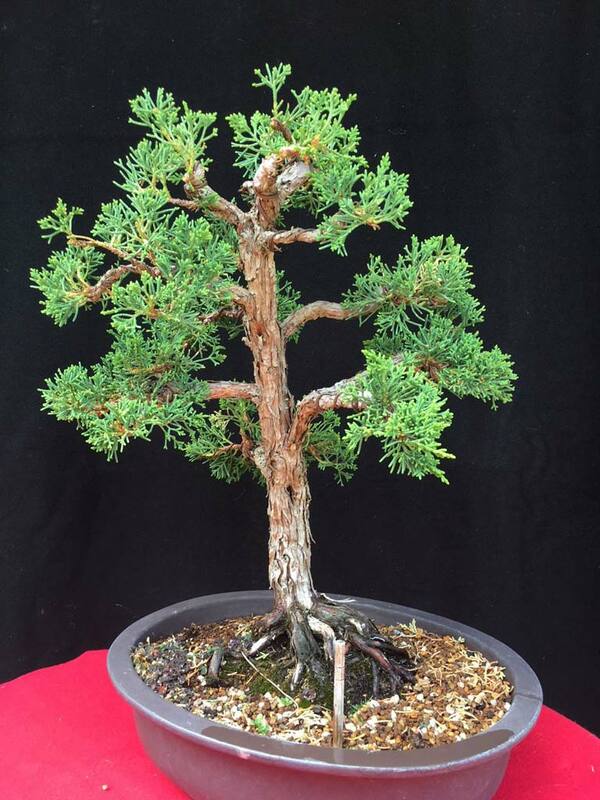 Wondering what else you’ll be able to bid on at tomorrow’s Marin Bonsai Club auction? The auction is open to the public. Be there or be square (sorry, couldn’t stop myself). August 21 – 7pm preview, live auction starts at 7:30pm. 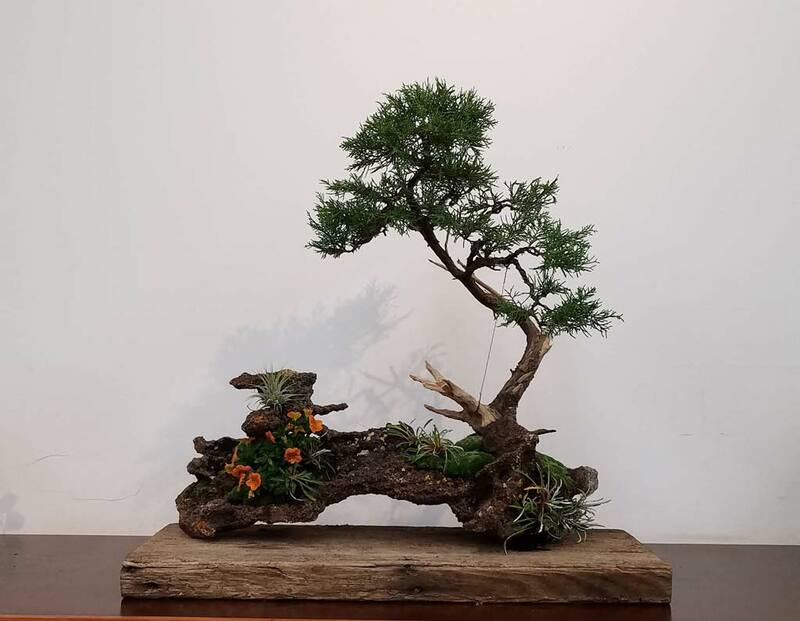 This is a sample of what’s in store at next week’s Marin Bonsai Club’s annual auction. 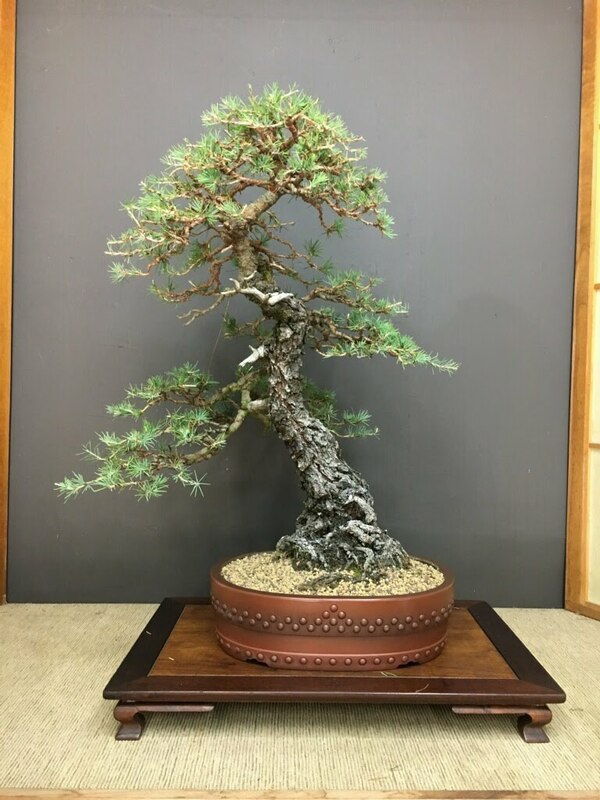 This handsome and newly styled Shimpaku Juniper is a ‘Legacy Tree’ owned by a long time MBC member. The auction is open to the public. Come one, come all. 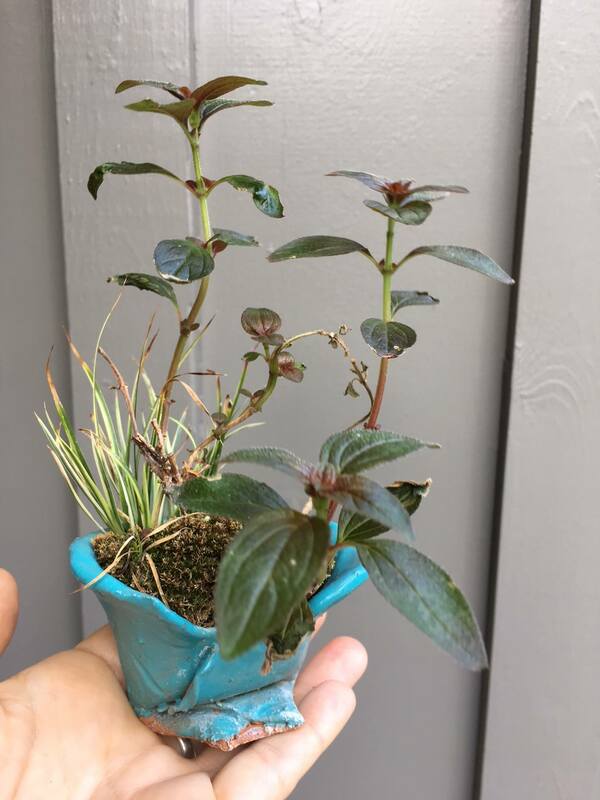 In this post you’ll find info to help prepare yourself for our auction on August 21. Check back, as we’ll be updating this post over the next week. It’s all in the details...knowing a bit more about the tree you’re considering acquiring makes all the difference. 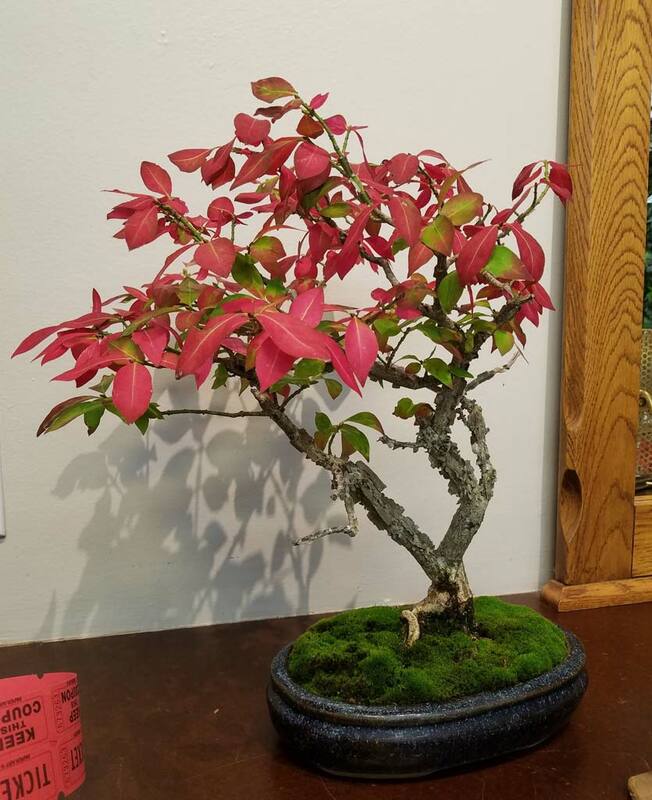 Below is a form you can use to tell potential bidders about your tree. Click here (or there) to print the form. Fill the form out, bring it to the auction and we’ll attach it to your item. The Seller’s inventory form is below, along with a sample of what it looks like filled out properly (in pencil!). Click on the form to print it and then fill it out before you arrive to give yourself more time to peruse the other auction inventory. 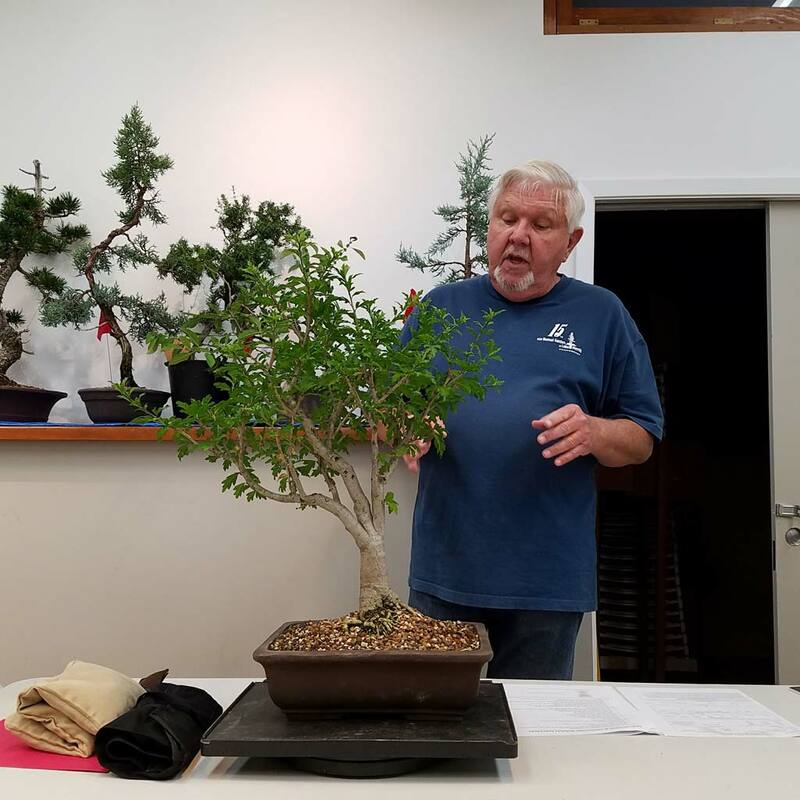 Our club president, George Haas presented an excellent program on the art of collecting bonsai at our June meeting. 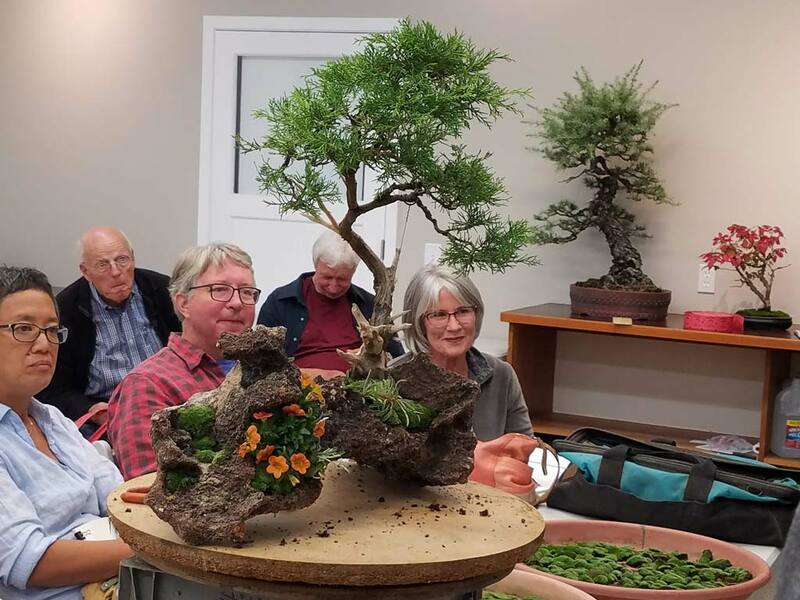 This is a topic which has not been covered by any area bonsai club within recent memory, so most of the material presented was eye-opening for members. 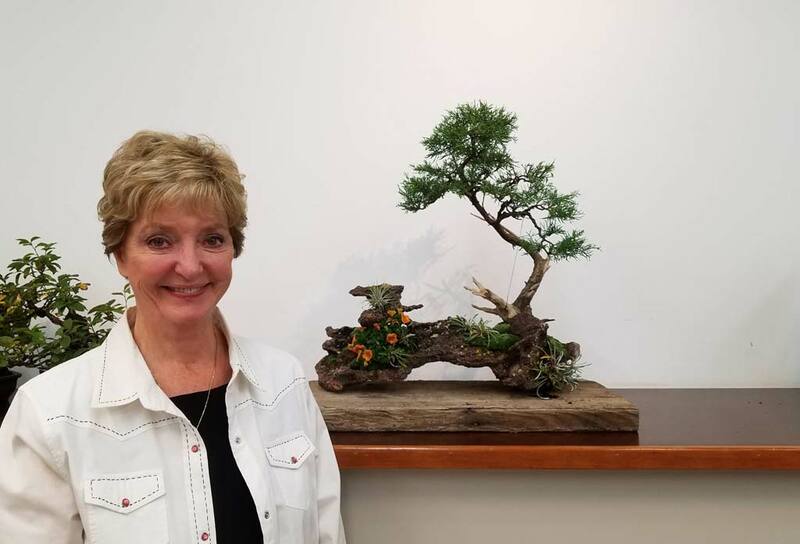 While many bonsai enthusiasts would not venture to the mountains collecting trees in the High Sierra, George’s description of the perils and rewards of collecting gave us all a heightened appreciation for these bonsai. 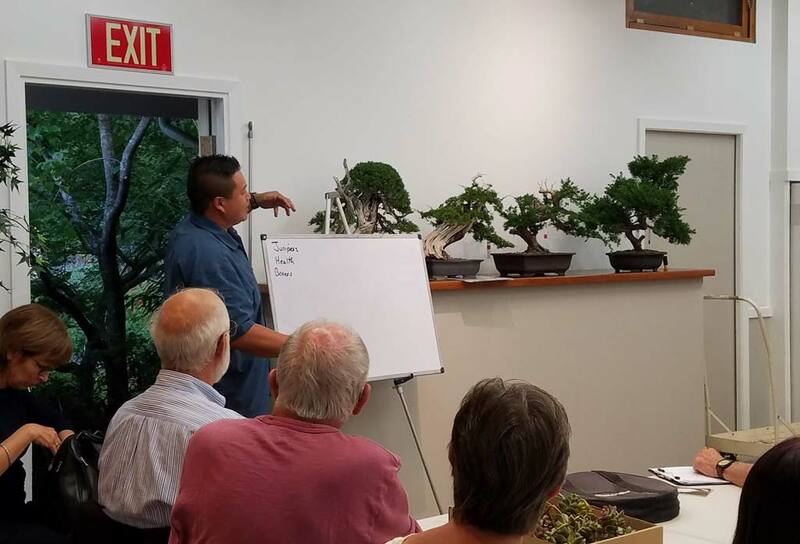 And for those looking for bonsai closer to home George had plenty of tips that applied to urban and suburban collecting as well, something many of us can do in our own backyards. Before launching into the details of collecting George emphasized the importance of ethical collecting. 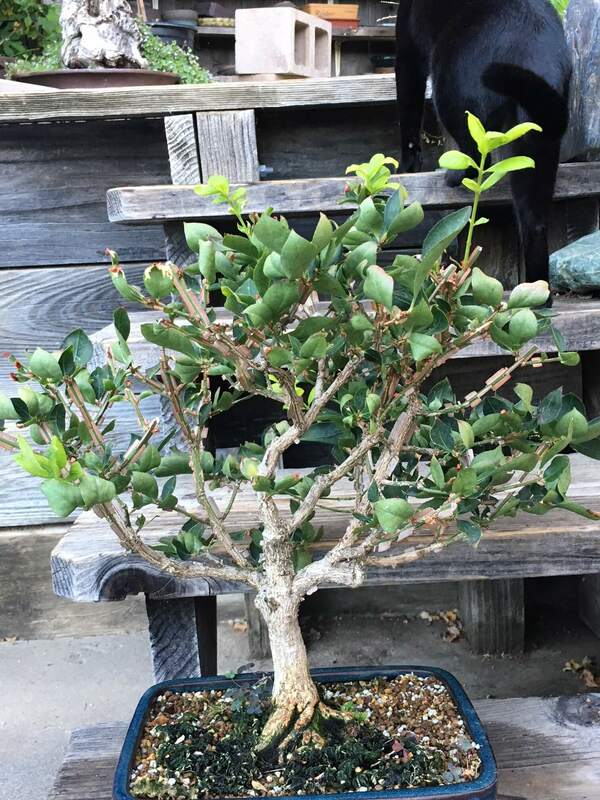 It might seem like a good way to jump-start your bonsai collection with trees that are decades or even centuries old and have intriguing deadwood features, but there is a right way to collect, and many wrong ways. 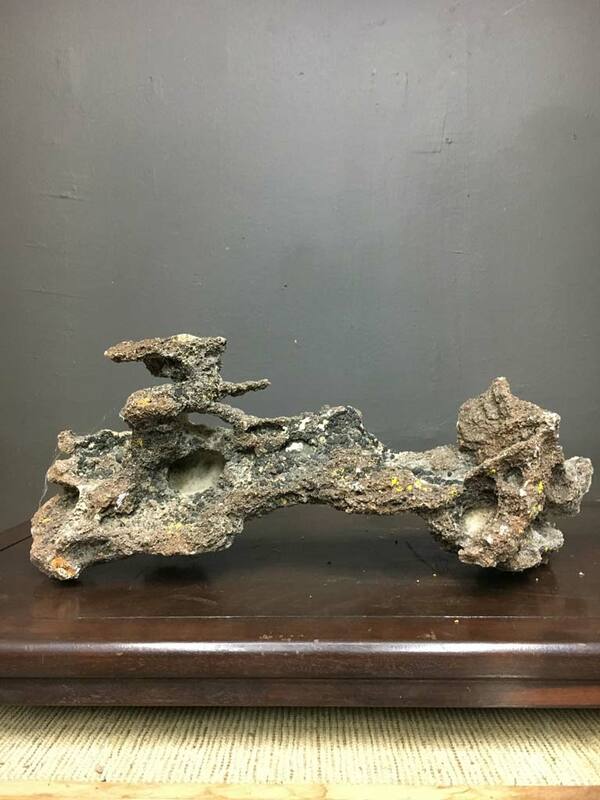 Unfortunately with the growing popularity of bonsai more bad behavior has been observed: collectors not getting permission from property owners, or permits from government agencies to collect, collectors digging only part of the tree from the ground and giving up – not filling the hole back in so the tree can live, trying to collect too large a tree and not preserving enough of the roots and foliage to allow it to survive, leaving trash and debris behind. Whether you are collecting two hundred year old Sierra junipers or your neighbor’s boxwood hedges George enumerated the many steps of successful collecting.